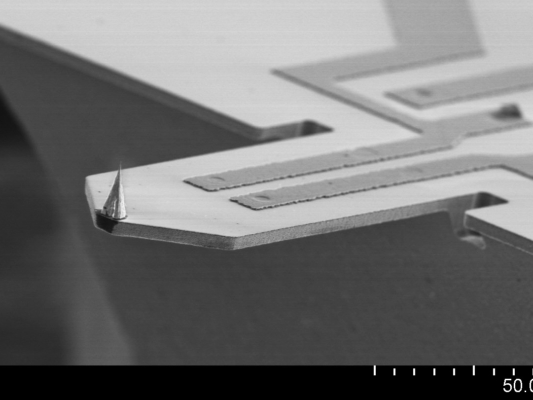 This is a special type of SCL’s self-sensing cantilevers with a hard, long-life and sharp single crystal diamond tip (SCD). 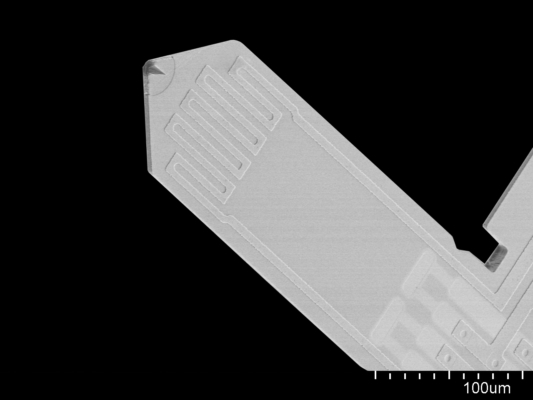 The cantilever is delivered on our cantilever PCB (CL-PCB) with a small 10 pin connector on its bottom side. We offer this cantilever type with or without an integrated heater. PRSA (Piezo-Resistive Sensing & Active) cantilever probes exhibit an additional thermal actuator (heater structure) on the cantilever. PRS (Piezo-Resistive Sensing) cantilever probes provide a sensing Wheatstone bridge (without a thermal actuator). 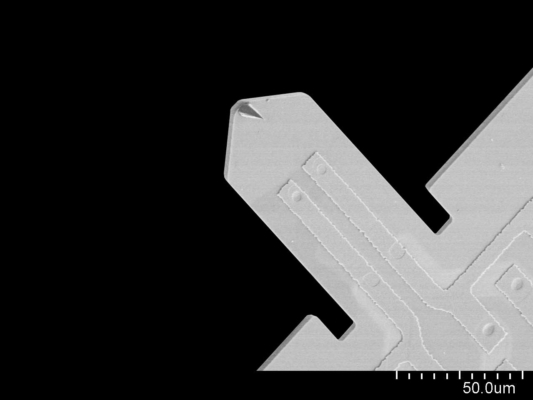 Piezo-resistive self-sensing 100x48 µm cantilever probe with a SCD-tip bonded to a small PCB with a connector or non-bonded as silicon chip. 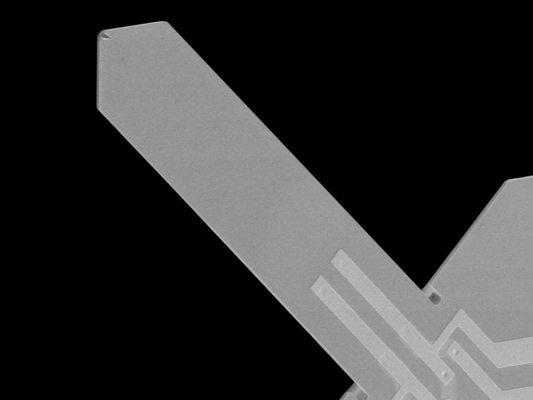 Piezo-resistive self-sensing 300x100 µm cantilever probe with a SCD-tip bonded to a small PCB with a connector or non-bonded as silicon chip. Piezo-resistive self-sensing 450x100 µm cantilever probe with a SCD-tip bonded to a small PCB with a connector or non-bonded as silicon chip. See a SCD tip cantilever in action!